These are some of the common questions we get asked. Chances are the answer you are looking for is also here. How long will it take to add extensions to my own hair? This will depend on the look you are going for and consequently how many extensions it will take to achieve that look. On average a thickening process could take 1-3 hours and a lengthening process 4-5 hrs. We will fully advise you of timings and costs when you have your initial consultation. Will people be able to tell that I’m wearing extensions? Provided you choose a style and colour that matches your own hair, the extensions will look totally natural and no one need ever know except you and perhaps that special someone who is allowed to run their hands through your hair. On the other hand, if you’re going for an obviously fun, funky look for a party or for just to enjoy a different style, then of course people will be able to tell – but only because you want them to. Please call us for a free consultation to discuss your needs. Will my hair look natural? All our extensions are custom-made for you. Human hair, we keep detailed records of your colour and order the hair in for each individual client. We blend all of our hair in front of our clients for a truly natural effect, we take great care to blend in a range of both highlights and lowlights into each head of hair we work with, so that your extensions have exactly the same depth and reflectiveness of any natural head of human hair. All this makes your extensions truly undetectable from the real thing. This is a commonly asked question. When extensions are applied properly there is virtually no reason why they would damage your hair, and to this end thousands of women have used extensions to grow their own hair to a desired length with no adverse effects whatsoever. However, that is not to say everybody’s hair is suitable for extensions. At Hair X we take the safety of your hair very seriously and take every reasonable precaution to ascertain the suitability of your hair before commencing with the extensions. This includes a free consultation as well as complimentary check up appointments while you are wearing the extensions. Everybody experiences normal hair shedding, don’t worry, this is entirely natural. You will notice on your hairbrush, whether you wear extensions or not, that you shed between 70 to 100 hairs a day – adding up to around 3,000 hairs a month or 36,000 a year. It seems a lot but on average we have at least 100,000 to 150,000 hairs on our heads alone, so this rate of growth and renewal is entirely normal. Real Hair extensions are designed to last three months. Can I just add highlights? Yes. This is a very effective way of enjoying extensions and you can choose instant colour that your hairdresser might otherwise feel would be too damaging to chemically apply to your own hair. With extensions no harmful dyes or solutions are used and you can either opt for subtle highlights and lowlights or even bold neon’s, reds, blacks, blues, yellows, pinks, and greens – whatever you want, really. Hair extensions are a great way of achieving a bold new or natural colour. Should I give my hair a rest between extensions? There is no need if they are properly applied and removed, so your own hair remains undamaged. Most people prefer to have their extensions removed and replaced on the same day, so their hair continues looking as good as ever. Can I bath, shower, swim, go out in the wind and rain, and play sport in my new extensions? Your new hair will look as fabulous wet as it does dry, and the extension joins will not show in water. You can shower, swim and go out in the wind and rain without having to worry. Our hair extensions perform as well on the sports field or in a storm as the thickest head of rooted hair. They are so well connected to your own hair that they are indistinguishable from natural hair and just as tough. What about sun and salt-water damage? Treat your extensions exactly as well as would your own hair and they should not suffer during daily wear. What happens if I don’t like my new extensions? 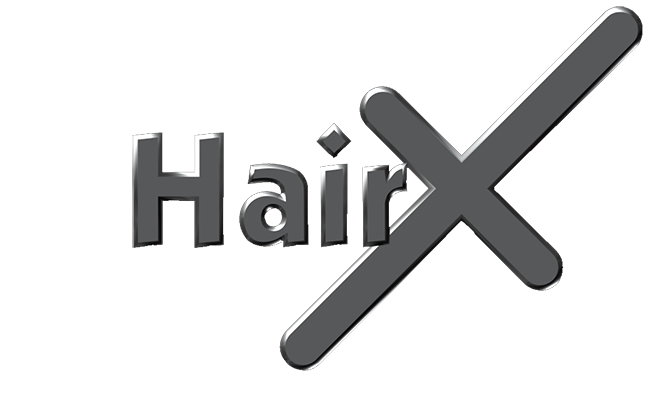 This very rarely happens, but if you are unhappy it is strongly advisable you let qualified staff at Hair X remove your hair extensions without damage or residue, leaving your hair just as it was when you started. What happens when extensions are removed? Human hair where a bonding resin is used, we apply a releaser solution that allows us to remove the individual extensions safely and efficiently. Won’t all those extensions be too heavy for my own hair underneath? If they are applied correctly there should be no problem whatsoever. A good technician will balance the weight perfectly, taking a section of your hair and adding an extension of equal weight, resulting in a completely balanced natural look. It is surprising how quickly you get used to having a gloriously full head of hair. Will my scalp still be able to breathe naturally with extensions? 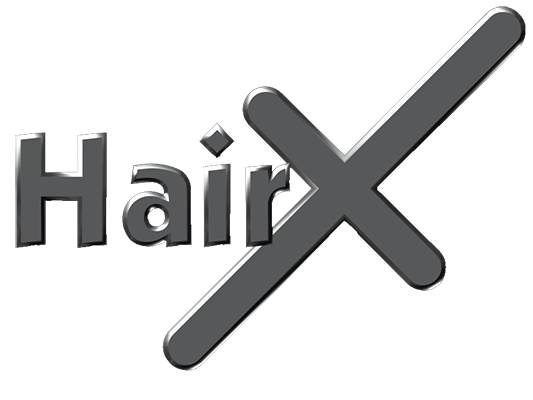 Our extensions are fitted close to the hair roots and scalp but do not block them, so you will be able to feel and touch your scalp as normal. Do I need to buy expensive shampoos and conditioners? Most shampoos and conditioners are fine to use, however, those that contain proteins should be avoided and should avoid extension shampoos that have not been designed for the Hair X system. Can I use a hairdryer, hot rollers and other styling equipment? Yes, you can use all of the above with human hair. We will explain and if you would prefer show you exactly how to achieve the styles you want. Is it safe to leave my hair to dry naturally? Yes, once again, you can treat your extensions just like your own hair. Can I have my regrowth done while Im wearing my extensions? Yes, ask your HairX professional for advice. If I fancy a new hair colour, how will that match up with my extensions? Any extension hair we use is perfectly matched in colour to your own. If your roots need doing before extensions are added, or you fancy a complete change of colour, we can colour your own head of hair ahead of any extensions work. We then add extensions that will have been carefully blended in front of your very eyes to exactly match whichever colour you have chosen.